It must be the US president who sent the Sudanese leader to Damascus. When will the West understand that sharing a bed with a monster will give you nightmares? The door is opened for Bashar al-Assad. Again. 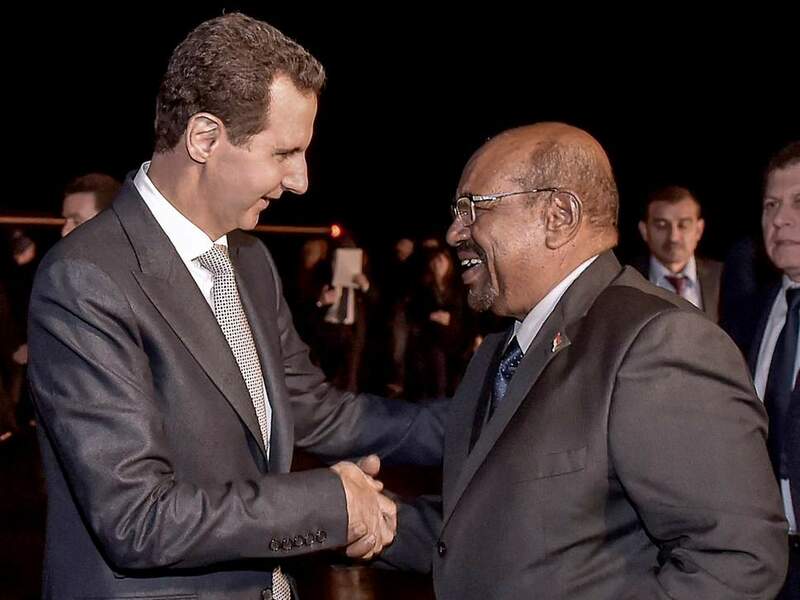 The Sudanese President Omer al-Bashir, being the first Arab leader to visit Damascus and meet with Assad, is not the news; it is who sent him over there. Donald Trump must have surely played a key role in sanctioning this visit to the Syrian capital; at the Helsinki summit with Russian president Vladimir Putin in July, the US, Russia and Israel came to a joint agreement to keep the Syrian dictator Assad in power. Trump likes Assad. He thinks he is one of the “tough guys” who managed to force their will over the international community. It’s no secret anymore that he gets on well with his parallels: Kim Jong-un of North Korea, Rodrigo Duterte of the Philippines, Recep Tayyip Erdogan of Turkey and the Saudi crown prince Mohamed bin Salman. What ‘outsiders’ do not understand is that it is not a question of just replacing Assad. Assad himself is in fact not that bad. It is the ‘security establishment’ around him that is dangerous. Consequently it is not a question of just replacing Assad but the whole security establishment. If we ban them there would be a vacuum just like in destroyed Libya. Ponder, before you demand ! (ask the experts!) (Robert Fisk for instance, or Rafiq A. Tschannen).